As you can see, the ceiling of our hallway follows our roof line – this is obviously a before/mid-project image. 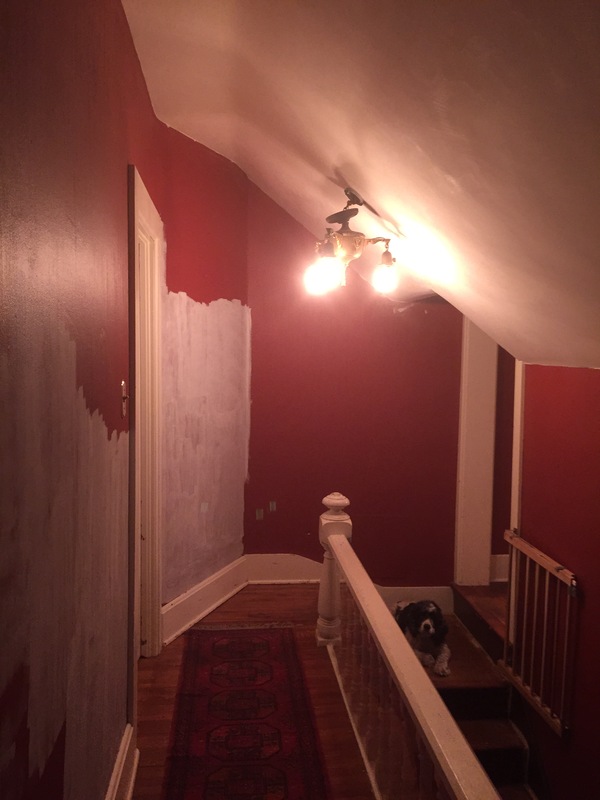 The ceiling and woodwork needs to be painted, then I’ll remove the red painted wallpaper and see if the plaster walls are good enough to leave in the raw. 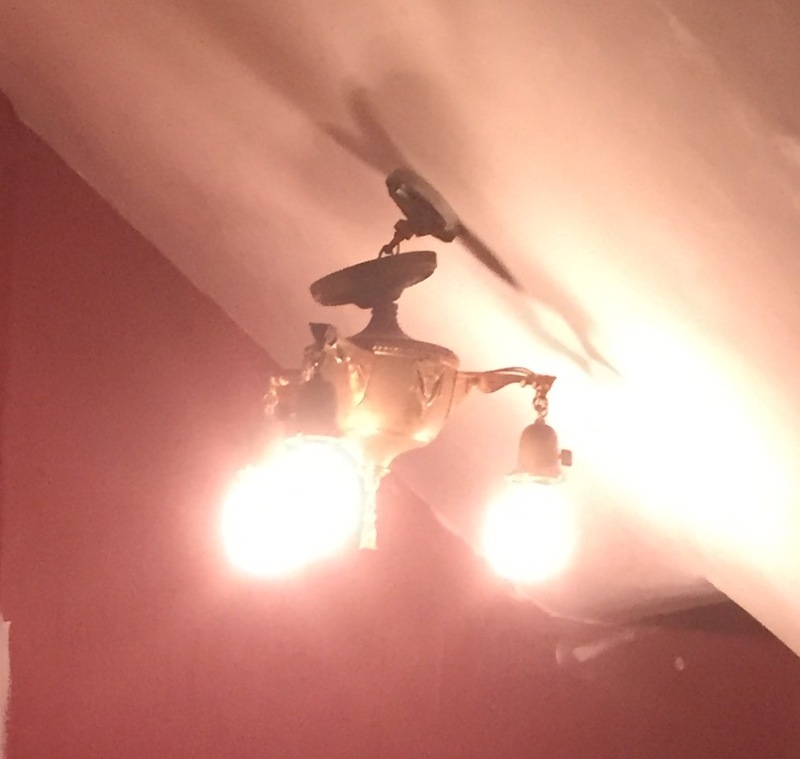 Here’s a close up of our $10 Art Deco-era light fixture which was rewired and had a chain/plate added before it was hung. Again, because this photo was taken mid-project, the plate was unscrewed so I can paint under it. Once the wallpaper is down, I’ll upload more images so you can see for yourself what the plaster looks like.